As of 31 December 2015, a total of 111 museums entered in the register kept by the Ministry of Culture of the Slovak Republic were operational in Slovakia. (d) specialised galleries with gallery documentation in selected areas. (v) Physical entities (private museums). Specialised museums (natural science, engineering, ethnic, etc. ), museums in the nature (open-air) and castle, palace and mansion museums. Nevertheless, this division can give a prospective visitor probably the best navigation. As a rule, these museums administer historical and archaeological exhibitions of a given region or town, exhibitions of ancient fine art and crafts or the furniture culture of upper classes from the Middle Ages until the beginning of the 20th century – most frequently of those aristocratic families that lived in host building. The central theme of the museum may also be constituted by the most significant collection of the museum, for example musical instruments, toys, puppets or hunting-related objects. Bratislava Castle – polyfunctionally used castle, in which there are premises of state representation of Slovakia and exhibitions of SNM – the Museum of History. After the general reconstruction of the castle palace a main historical exhibition showing visitors the history of Slovakia and the people living on its territory is being prepared its central premises. Devín Castle – a National Cultural Monument and ancient Slavic settlement. The castle, which is in the administration of the Bratislava City Museum, features archaeologically-documented settlements from primeval times until the beginning of the 19th century. Červený Kameň Castle – is a unique example of Renaissance architecture. It is a combination of a military fortress and an aristocratic residence. 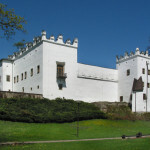 The castle was modified by the owners several times; the Pálfy family carried out extensive modifications in the 18th century. The castle interior is furnished by authentic historical objects and the fine art gallery is extensive. Krásna Hôrka Castle – originally one of the best preserved castles with its original castle furnishing, including a preserved kitchen burnt down in spring 2012. A complex reconstruction is carried out and the re-opening of the castle is planned for the summer of 2017. Kremnica Town Castle – this building is in the administration of the the National Bank of Slovakia, which invested in the Museum of Coins and Medals here. 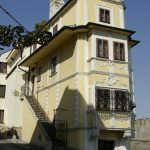 In a pleasant and carefully renovated townhouse palace the development of the monetary system and mintage in Slovakia and the history of the town of Kremnica can be observed. Part of the museum exposition is located in the castle adjacent to St Catherine’s Church. 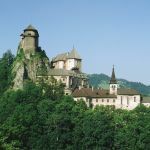 Orava Castle – one of the best known castles in Slovakia, this architecture jewel offers outdoor expositions about the nature of Orava, its ancient history and rich folk culture, along with preserved interiors and original furnishings. Spiš Castle – the most extensive castle complex in Central Europe, dating back to the 12th century. It underwent many reconstructions and burnt down at the beginning of the 18th century. The renovation of the castle began in the second half of the 20th century and continues even today. The outlook of this castle is a unique example of a cultural landscape of the Spiš region. Together with Bojnice Castle and Orava Castle it belongs to the most visited castles in Slovakia. Ľubovňa Castle – originally built to guard the commercial route to Poland, this castle was the seat of the Polish administrator of the 16 pawned towns of Spiš. It offers various displays of the Ľubovňa Castle Museum regarding the history of the region and castle, including the Open Air Folk Architecture exhibition, located at the foot of the castle. Trenčín Castle – a National Cultural Monument in the administration of Museum of Trenčín. The foundations of the castle date back to the early medieval period. It was rebuilt several times and its renovation began in the second half of the 20th century and continues until today. 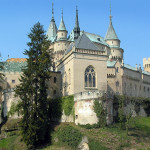 It houses the following expositions: the Illésházy Family Gallery, the Armery, Contemporary Heraldry in Slovakia, Owners’ Coat of Arms, Governors and Captains of the Castle, and the Castle Well. Zvolen Castle – originally a Gothic-Renaissance chateau reconstructed and adapted for the needs of the Slovak National Gallery, it features a Gothic lapidarium with exhibited fragments and stone segments from the chateau, mid 15th-century wall paintings transferred from the former Zvolen presbytery, facsimiles of the works of Master Pavol of Levoča, an exposition of ancient European art and an exposition on the history of the town of Zvolen. The chateau is in the administration of the Slovak National Gallery. Bojnice Castle – this romantic chateau, adapted in the neo-Gothic style, is the most visited museum in Slovakia. It features historical, art-historical and fine art collections from the Baroque period in particular, which create a picture of aristocratic housing up to the end of the 19th century. It has a reconstructed five-edge tower, in which we can find a new exposition. Throughout the year the museum prepares attractive programmes for the general public. 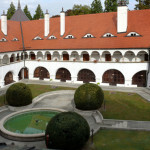 The chateau is in the administration of the Slovak National Museum – Bojnice Museum. Betliar Mansion – with its English park Betliar Mansion represents the housing and lifestyle of the high Hungarian aristocracy in the 18th and 19th centuries, in the authentic environment of an aristocratic residence. The surrounding park, a national cultural monument since 1985, was entered in the World List of Historical Gardens in 1997. The mansion is in the administration of the Betliar Museum SNM. Markušovce Mansion and Dardanely Summer Palace – the Spiš Museum SNM features an exposition documenting the housing of the aristocracy at this Baroque-Rococo mansion, which dates from the end of the 18th century. Situated in a French park, the complex also incorporates the Dardanely Summer Villa, which houses an exposition of keyboard instruments from the 18th-20th centuries. Mansion Strážky – a national cultural monument in the form of a Renaissance mansion with Baroque and Classicist reconstructions, that offers an exposition of historical furniture, historical portraits at Spiš and a profile of the work of Ladislav Mednyansky (1852-1919), one of the most significant painters of Slovak origin. The mansion is in the administration of the Slovak National Gallery. The Baroque-Classicist mansion in Svätý Anton offers an artistic and historical exposition from the history of Koháry and Coburg family. However, it also offers insight into the development of hunting in Slovakia and its present state. Topoľčianky Castle – originally a late Gothic chateau with Renaissance and Baroque reconstructions and a Classicist additional wing, it served from 1923-1951 as the summer seat of the president of the republic, is a place of unique hipological museum (history of horse breeding in Slovakia and Central Europe). In the surrounding area there is located along with a new exhibition of carriages and wagons also the National Stud Farm, as well as the national breeding station of international importance. This category pertains to open-air museums and parks. They present traditional folk architecture in a typical local environment. The interiors of the buildings are usually accessible as small expositions of furniture and housing or craft tools and present the lifestyle and level of agriculture and traditional crafts typical for the region. Two of these museums include operational narrow gauge railways. However they also include a mining museum, an archaeological site and an agricultural museum. Slovak Open Air Village Museum SNM – the only and the biggest workplace of this kind in the Slovak Repulic. It provides research, documentation and presentation of folk architecture and housing in actually all regions of Slovakia. In the last number of years one part of its objects underwent a reconstruction shingle roofs. Slovak Mining Museum, Banská Štiavnica – this national museum documents the history of extracting and mining in Slovakia, especially the mining of the precious metals gold, silver and copper in the medieval and early modern eras. The town of Banská Štiavnica and its surroundings with historical mining monuments are entered in the UNESCO World Cultural Heritage List. Slovak Agricultural Museum, Nitra – this specialised museum with a nationwide scope documents the development of agriculture from ancient times until the present. The outdoor section of the museum presents objects used in the processing of agricultural materials. A narrow gauge railway transports the visitors around the outdoor museum. Museum of Orava Village, Zuberec – this folk architecture museum presents the region of Orava with its typical wooden constructions. The buildings are mostly transferred and reconstructed original buildings; some are copies of the original buildings. The museum creates an extremely realistic picture of a 19th-century Orava village. Bardejov Spa Open Air Museum of Folk Architecture – this museum showcases the folk architecture of the Slovak and Ruthenian people of the Upper Šariš Region in north east Slovakia across an area of 1.5 hectares in a park arrangement close to the famous spa. 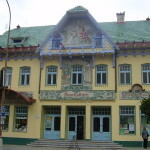 This open-air museum is part of the Šariš Museum, which has expositions in the historic core of the town inscribed in the UNESCO World Heritage List. These are museums with a specific specialisation that has been developed over many years. Slovak Post Museum, Banská Bystrica – this museum profiles the history of the post and postal services in Slovakia, paying great attention to Slovakia stamp creating history, which is highly recognised around the world. A permanent exposition entitled ‘The Post and Postal Services in the History of Human Society’ inventively presents the post and its services within a historical context. Slovak Technical Museum, Košice – this specialised museum with a nationwide scope presents the history of science and technology in Slovakia, depicting the development of individual fields, such as astronomy, geography, physics and chemistry. This museum comprises the Museum of Aviation at the Košice airport with a unique collection of aircraft from all over the world and the Transport Museum with the seat in Bratislava with the exhibition of veteran cars and train technology. In 2013 there was added in Košice part of interactive exposition of the Science and technology centre for children and youth, which in a playful but clear form documents various physical laws. Police Museum, Bratislava – this museum features the origin, development and activities of security and police bodies in Slovakia. It is heavily involved in upbringing activities for young people, especially through activities related to combating addiction, crime and education related to legal awareness and traffic. The permanent exposition also presents criminal investigation methods and procedures. Museum of Trade, Bratislava – this museum collects, professionally evaluates and administers collection items, written documents and other materials documenting the development of trade on the territory of Slovakia from ancient times until the present. They are displayed in an attractive permanent exposition. Museum of the Slovak National Uprising, Banská Bystrica – this specialised museum documents the significant historical milestone in the history of Slovakia – the Slovak National Uprising (SNP) – in the context of European and world anti-fascist resistance movements during World War II. The seat of the museum – the Monument to the Slovak National Uprising (SNP) by architect M Kusý – is noteworthy piece of architecture. The open-air museum of military combat technology from World War II, which concludes the complex of the monument area, is attractive for visitors. Slovak National Museum (SNM) deserves a special category within the classification of museums – first among equals. This could also be the characteristic status of the SNM within the network of museums in Slovakia. Its system of 18 specialised museums covers all components of culture, society and nature.